Neologisms (from Greek néo-, meaning ‘new’ and logos, meaning ‘speech, utterance’) – can do all sorts of jobs. But most straightforwardly new words describe new things. As such they indicate areas of change, perhaps of innovation. They present us with a map, one that can redefine what we know as well as revealing newly explored areas; new words for new worlds. What do recently coined words and phrases tell us about how the world of business is developing? One large area of newly broken lexical ground is where business meets social and ethical values. There’s been a greater emphasis on this in recent years, driven by an interest in using market-oriented methods to achieve fairness and sustainability, as well as concerns over how private advantage can result in public disadvantage. In some ways, this is quite an old theme. For instance, the Quaker-owned chocolate businesses of Cadbury and Rowntree were founded to wean people off alcohol by offering up reliably delicious hot chocolate. However, the religious element and the overtly moralistic approach to lifestyle no longer hit the right tone—‘temperance’ is not urged upon us any more—meaning new words are required. So where have we gone to find these words? Civic values are one source: we now talk of corporate citizenship and corporate social responsibility (or CSR). The implication is that the business, like a citizen, is a member of a body politic with responsibilities as well as rights. It’s an ancient political idea—as old as the Greek city-states—that has found a new, contemporary application. Linguistically the ploy is very straightforward: ‘corporate’ precedes the political term, yoking the entity to the idea. Businesses can now measure and report on their contribution as socially responsible citizens. The CSR industry has come up with its own reporting tool: triple bottom-line accounting (each line measuring respectively traditional profit and loss, social contribution, and environmental impact). For a big oil company, this might mean helping to conserve the nesting sites of rare gulls, for a food multinational it might be funding community sports facilities: both undoubtedly worthwhile activities. But how much of this is done for the intrinsic good involved, how much for PR purposes? Are these activities usefully distracting window dressing? 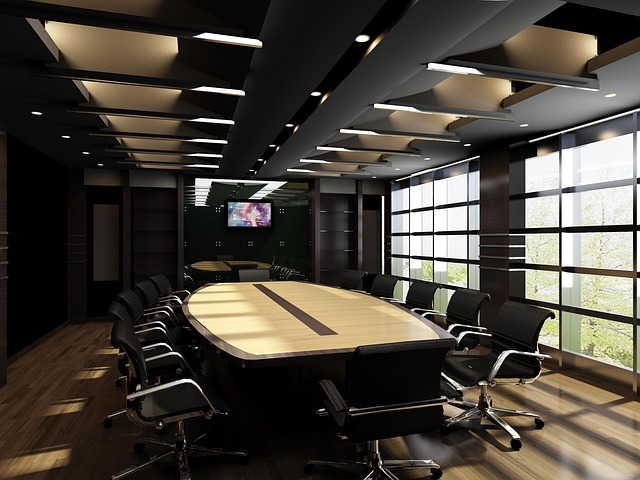 The importance of PR in this area can certainly be discerned through new language: there is now a specialized set of words describing public responses to social or environmental transgressions on the part of business: accommodating response, obstructive response, defensive response, and proactive response. These represent different strategies for maintaining a business’s reputation in the wake of a reputational issue. Image credit: light interior design tv by cdu445. Public domain via Pixabay. Another linkage between business and the wider community is achieved by introducing the idea of the social into existing business terms. Hence, we have social entrepreneurship, social enterprise and, inspired by the financial world, social capital. ‘Social’ is used here as a modifier: taking the business activity or entity and replacing its focus on profit with something broader. This might involve the reduction of poverty, the emancipation of the disadvantaged, the protection of the environment, or the improvement of people’s health—so broad indeed. However, it would not be right to describe the social enterprise as a non-profit organization. Profit remains a goal; just not the overriding one. Such profit as is made may be reinvested to further the business’s social or ethical goals. In this way, the model follows the traditional capitalistic one: an entrepreneur combines the factors of production and does so within the enterprise, a legal construct that may well also be a limited company. The ledger, however, will show that any surplus created is added to our social capital, either directly or through reinvestment of profit, to create a less unequal, more just society or a more sustainable, healthier world. This is a step beyond the business that engages in CSR on the way to making a profit – rather, the social enterprise makes a profit on the way to achieving its ethical goals. As business pursues broader objectives, we are likely to see more innovation in form and therefore language. We now think of charities and NGOs (non-governmental organizations) as occupying a third sector—with state-owned and private organizations comprising the first and second respectively. Businesses that pursue profit but within an overarching idea of citizenship are certainly in the second (private) sector. But how about businesses whose goals don’t prioritize financial profit at all? Are they second or third sector? The interstices between sectors can only become more crowded, the dividing lines more blurred. Why? On the one hand, the traditional state faces huge problems. Government spending is set to continue on its austere path whilst an ageing population clamours for more and better social services and the impact of climate change necessitates bigger and smarter investment. This mismatch of uses and resources will require new, more efficient and responsive approaches to problem-solving, to achieving equitable and sustainable goals. We will need new organizations and a new language to describe what they do and why. Where might these come from? Entrepreneurship is growing like never before as the huge increase in company formation over recent years suggests. Indeed, amongst graduates it is becoming a career path in its own right, joining law, accountancy, advertising, the civil service, and so on. Digital technologies have reduced the costs of starting a business and people increasingly appreciate the meaning, autonomy, and rewards that it can bring. So this will be a good place to look for ways that do more with less to address our social and environmental needs. Increasingly, where there is a knotty problem that requires a radical solution the answer will come through some form of enterprise, whether it is social, nonprofit, or simply responsible. It will be fascinating to see what new institutions—and words—come to populate this emerging landscape. Featured image credit: ‘New York City Skyline Sunrise’ by Anthony Quintano. CC BY 2.0 via Flickr. Gareth Williams is a businessperson who works with digitally led businesses and social enterprises. He is co-editor of The Dabbler blog and has written for publications in the UK and USA. He has worked in industry, investment banking, and retail, and has degrees from the Universities of Cambridge and Oxford. 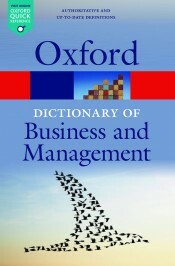 Gareth is a contributor to the new edition of A Dictionary of Business and Management, available in print and online.